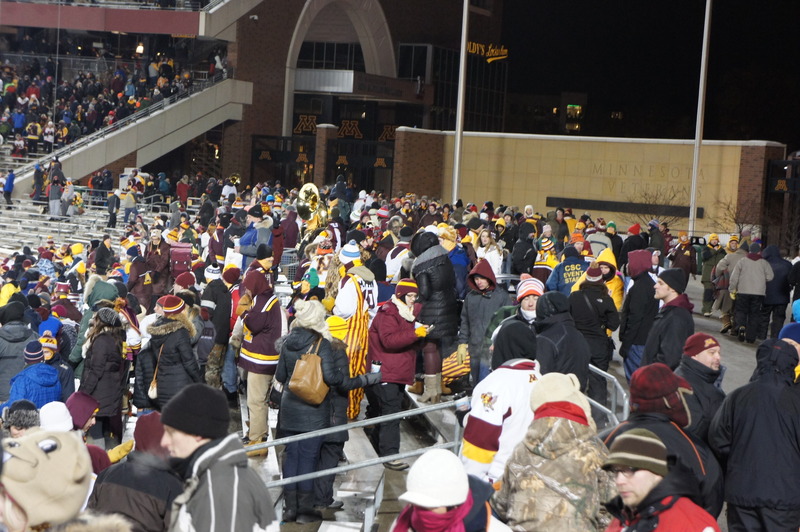 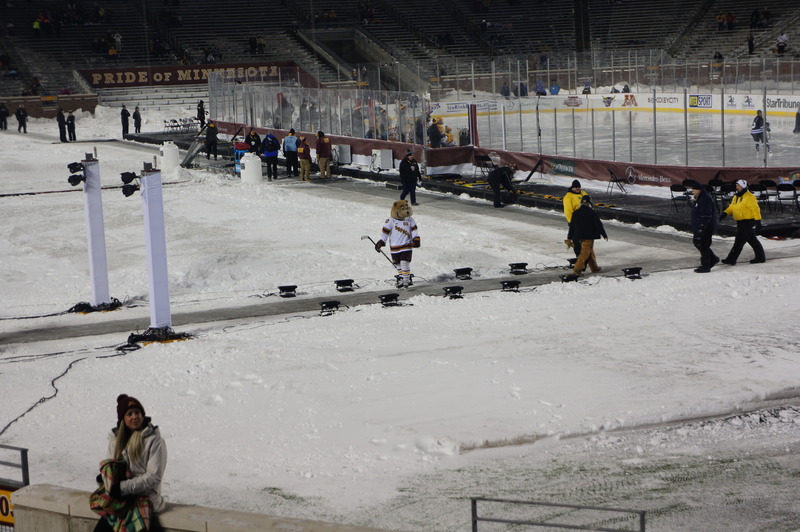 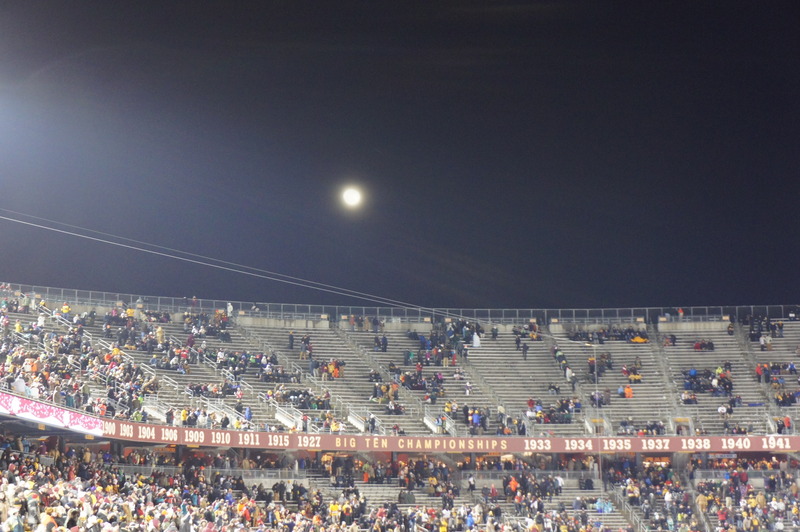 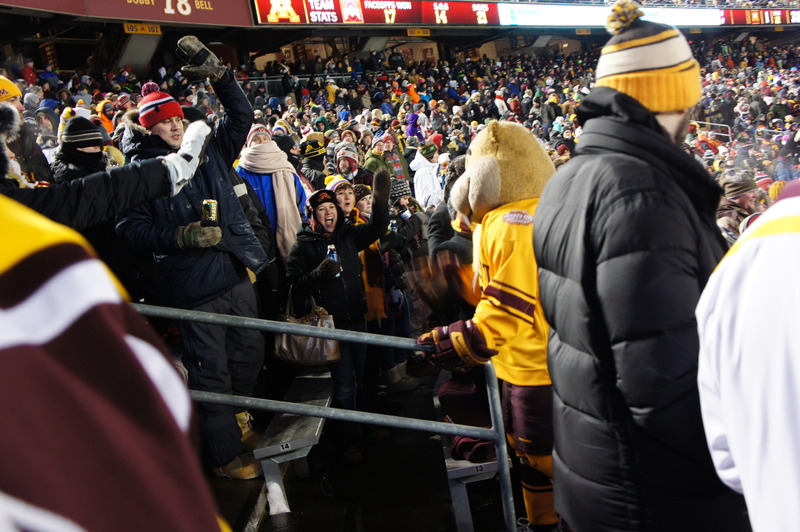 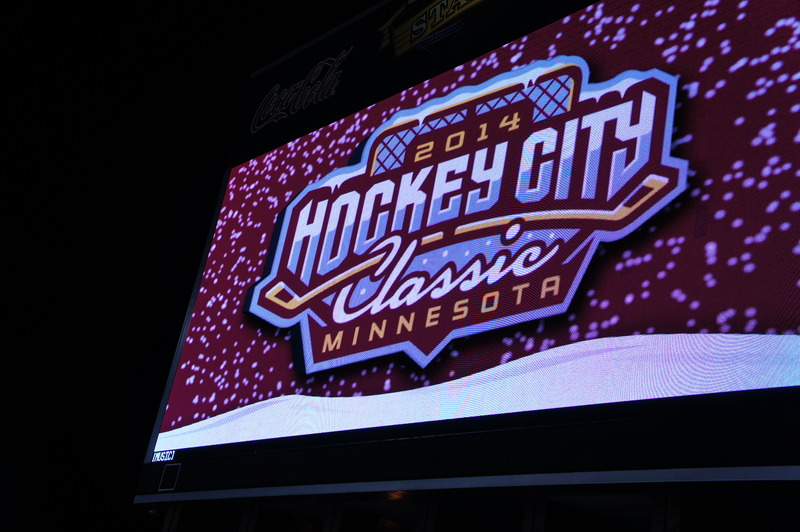 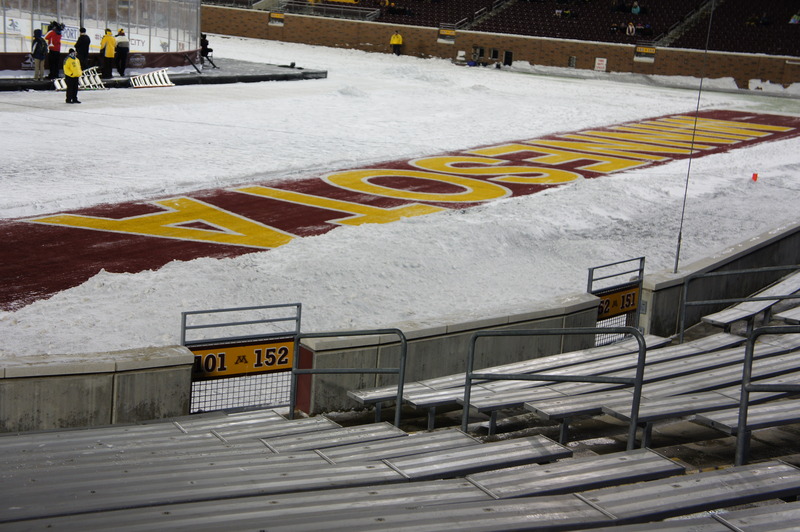 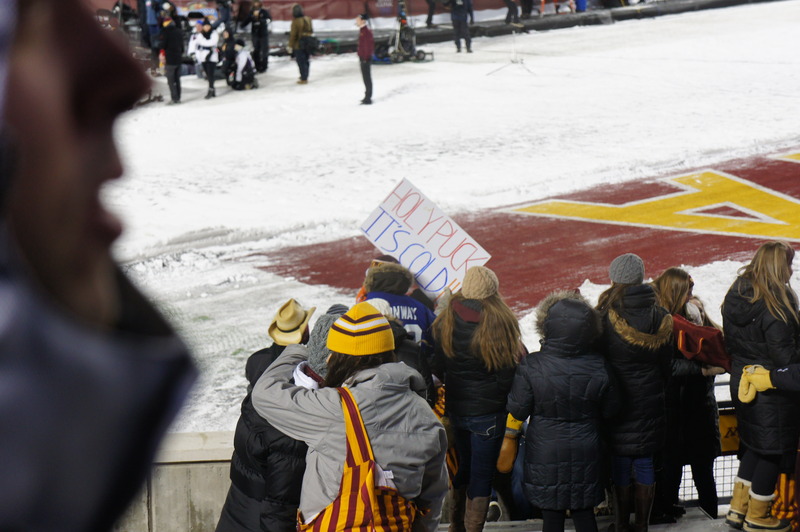 The 2014 Minnesota Hockey Classic was held at TCF Stadium on January 17th 2014. 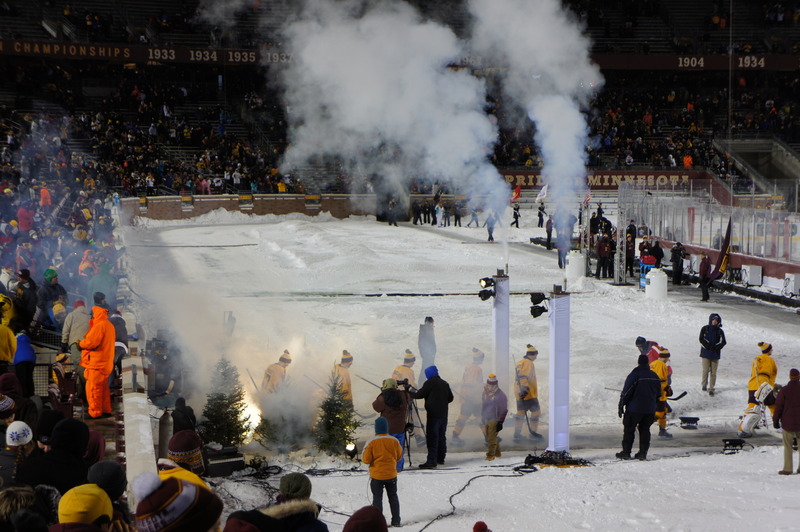 It was the Minnesota Golden Gophers Women’s Team VS. 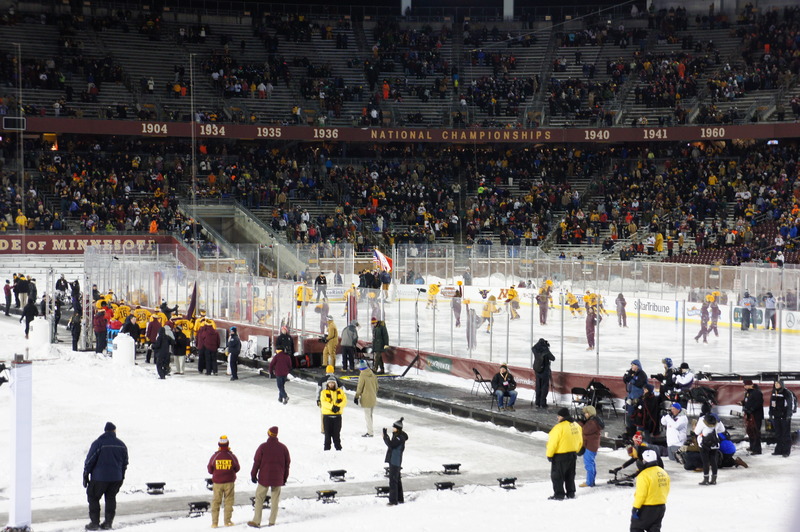 The Minnesota State Makato Mavericks in the first game and the Minnesota Golden Gophers Men’s Team VS. 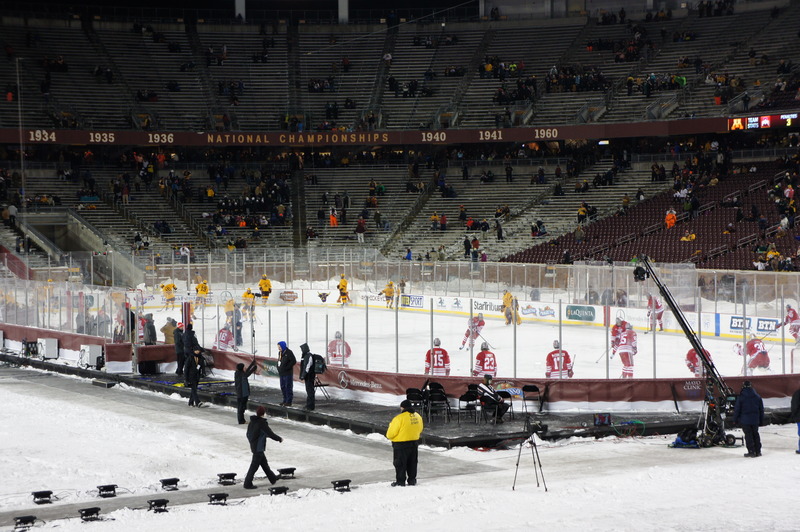 The Ohio State Buckeyes. 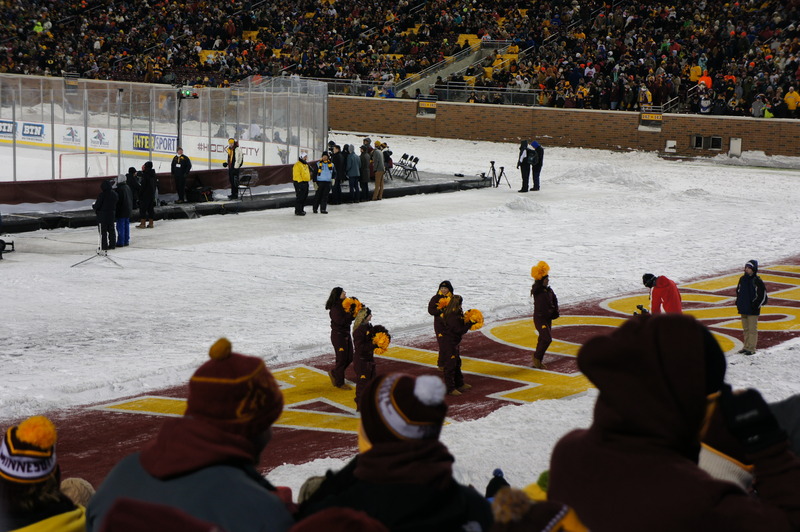 First off, it was awesome to be at a Outdoor Hockey Game, that being said, the temp was low single digits with a wind chill so things were super cold. 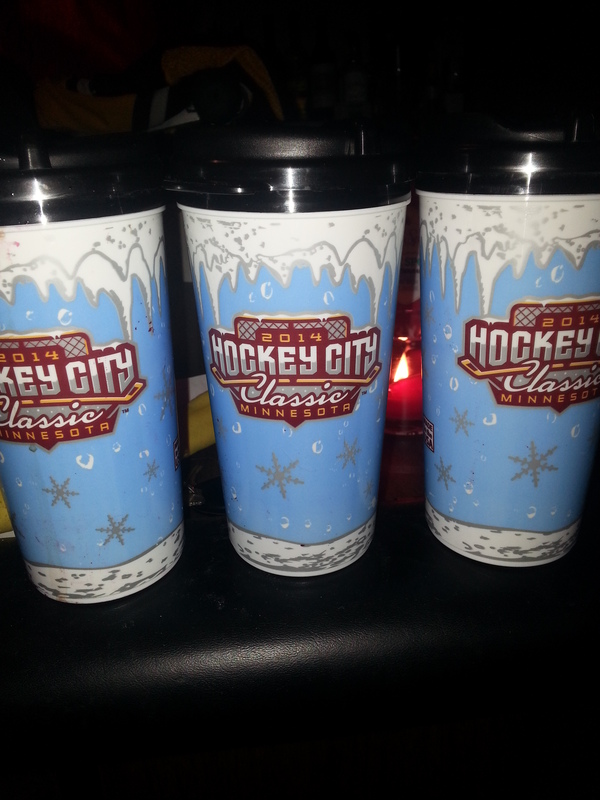 The other down side was that the only hot beverage was hot chocolate and they were sold in these $6.25 cent collectors cup. 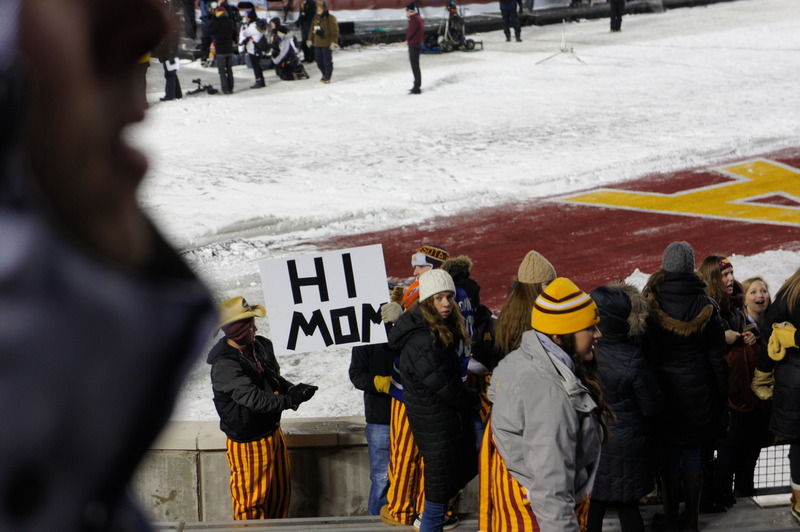 Cool cup, but if you wanted another hot chocolate, you needed to buy another cup. 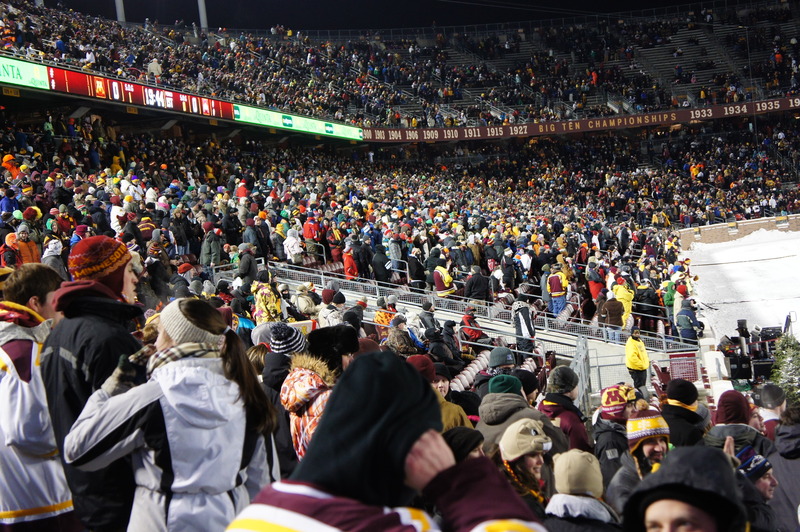 But, I am happy I was there, it was a incredible experience in MN Sports. 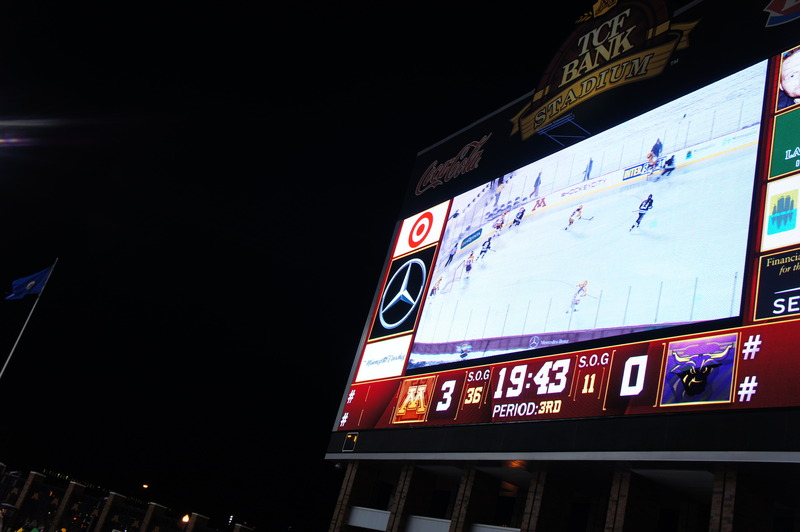 Both teams won, and the day was awesome!